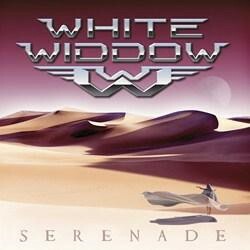 Hot on the heels of their debut, White Widdow return with their follow up release ‘Serenade’ on September 23rd through AOR Heaven. Proud of their 80’s influences, the new album ‘Serenade’ retains the urgency and energy of the White Widdow debut , while also showcasing more diversity in song style and structure. The album was recorded at Solid State Studios in Melbourne Australia and mixed/mastered by Pelle Saether (Grand Design) at Studio Underground in Sweden. Founded in Melbourne Australia, White Widdow was formed in 2008 by front man Jules Millis , Bassist Trent Wilson and Guitarist Enzo Almanzi. Soon after, Jules brought in his brother Xavier Millis on the keyboards, a two time ARIA (Australian Record Industry Award) nominee. With Xavier onboard, the writing team was in place and the line-up was then completed with Jim Naish on drums. Raised on a healthy diet of 80’s Arena Rock and influenced by artists such as White Sister, Giuffria, Aviator, Survivor , Danger Danger, Rick Springfield and Roxus, White Widdow started out playing live amongst the diverse Melbourne Rock scene, they quickly established themselves as a solid live unit throughout their native Australia. In mid 2009 White Widdow recorded and released their free digital only EP which was very well received in selected press. In 2010 White Widdow stormed onto the Melodic Rock scene across the globe with the release of their self titled debut album through AOR Heaven. With the release of the debut, the full vision of White Widdow has become a reality. An album full of Melodic Rock and AOR anthems filled with swirling keyboards, blistering guitar playing and big choruses full of hooks.